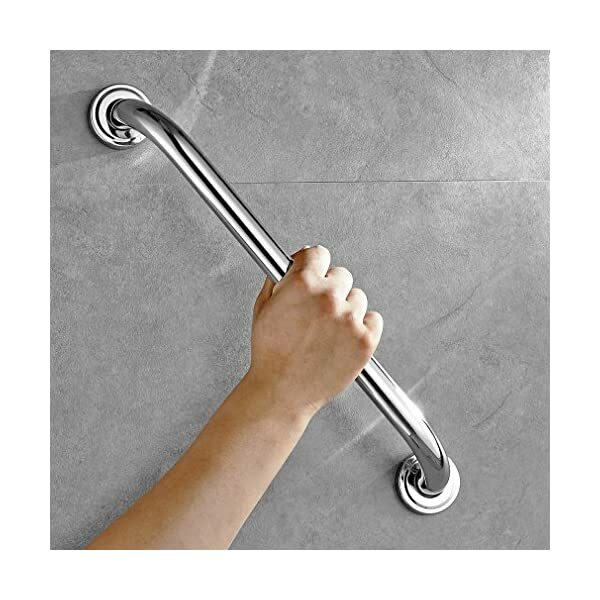 AURALUM grab bar, Easy grip support bars for bathrooms, stairwells, laundry room, kitchen, slip prevention for elderly, handicapped, disabled and so on. 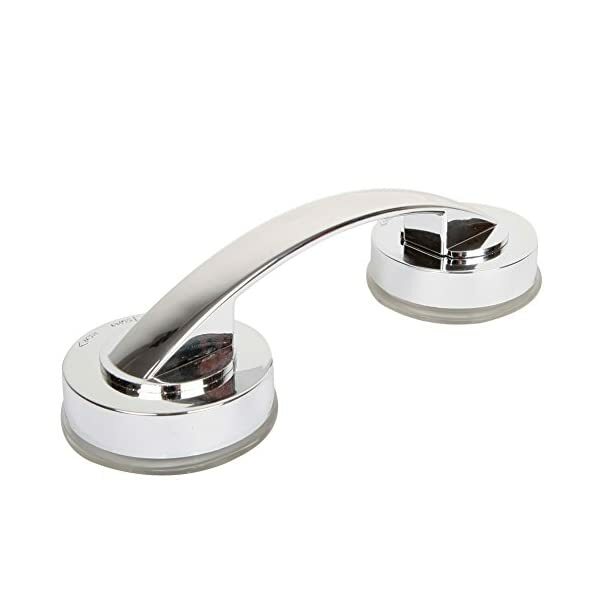 The total length is 24 inch(600mm).The mount hole's diameter is 2.16 inch(55mm).Bar diameter is 1 inch(25mm).Comes complete with instructions and stainless steel hardware. 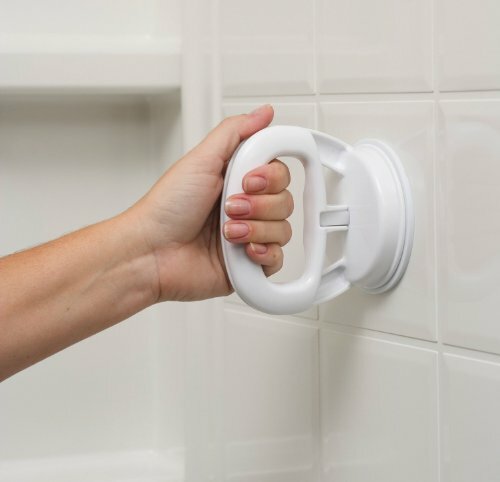 Supports up to 500 lbs of pull force and to provide a stable, reliable handhold.the grab bar provides additional stability when entering and exiting the tub or shower for a safe and comfortable experience. Bath Transfer Bench with Cutout, Deluxe All-Access for Tub and Shower Transfers. MODERN BLUE AND PINK color choices WON'T STAIN LIKE OLD-STYLE WHITE PLASTIC versions. [ Great Material ]: Made of Widely Aerospace Applied Space Aluminium, Light Weighted Yet Sturdy, Durable and Eco Friendly,1in tube diameter, max loading weight 400bl . 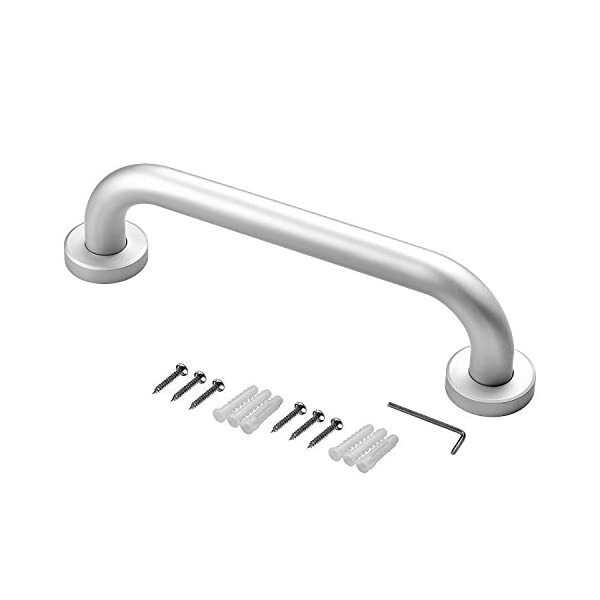 [ Easy to install ]: Complete with wall mounting accessories and concealed screws. Three holes fixed per side, much more stable, safer and reliable. 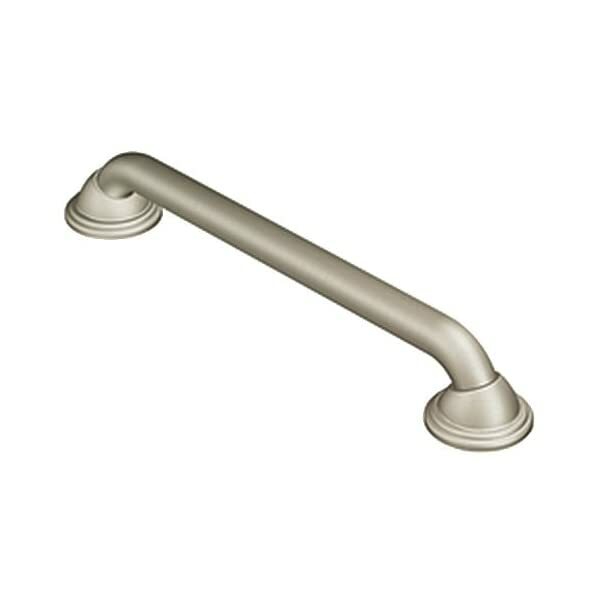 ✅ THE DO-IT-YOURSELF HANDRAIL - This bathtub safety support bar attaches to any flat non-porous surface such as tile, acrylic and glass. It does not work with natural stone, porous tile, 4X4 tile or wall board. Note: If you have difficulty getting your bathtub support bar to stay in place it could mean air is seeping into the suction cups. To get a better seal, put water or petroleum jelly on the tile or the suction cups. We also recommend reattaching the handrail every two days. ✅ TOOL-FREE INSTALLATION - To install the Dr. Maya shower handle simply press the suction cups against a clean, flat, wet surface and flip the locking latches to secure them in place. Don't place the suction cups over grout lines or gaps - a flat, solid surface is required for proper adherence. 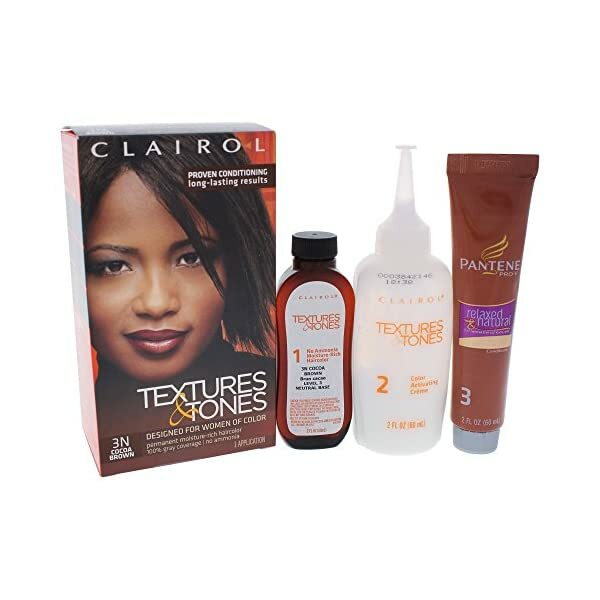 Also, remember water or petroleum jelly can help secure a more firm seal. 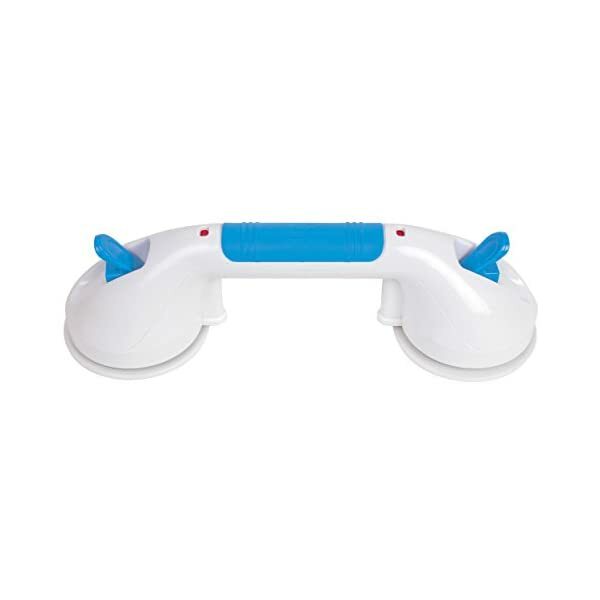 ✅ NON-SLIP GRIP - Dr. Maya's bath support handle features a non-slip grip that is ideal for seniors, elderly, handicapped, disabled, toddlers and other children. 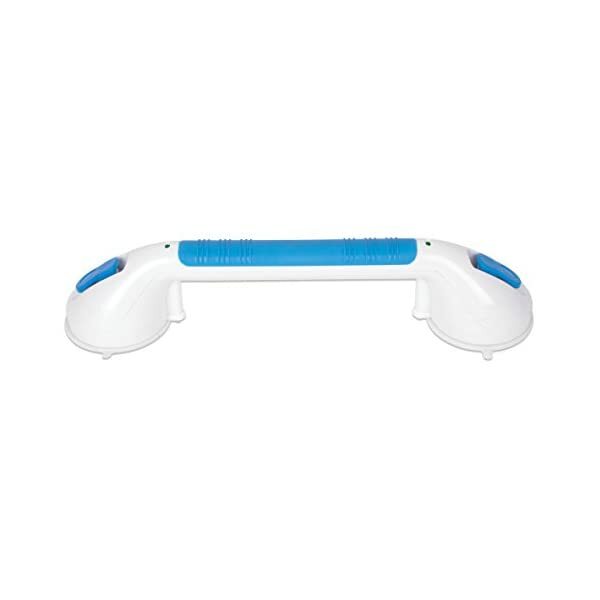 This tub support bar is great for post-surgery recovery and for preventing injury. It can even make a great foot rest for when you need to shave your legs in the shower! Warm care: for everyone, especially the old, or kids. Space Aluminum: Eco-friendly and healthy material, combi of style functionality with everlasting durability. Professional Bathroom / Washroom Sefty Guard- Home security For Everyone Everywhere! 100% new ABS material with UV spraying surface treatment enhance the strength and tenacity of the bar, none easy to broken but light than metal bars;even bend the bar in direction to close two suction cups it won't break easily, just the surface UV spray coat crinkled. 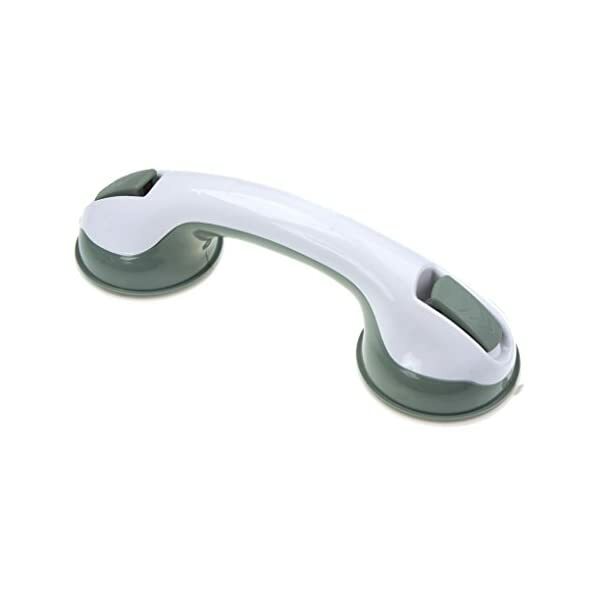 INSTALL & REMOVE EVERYWHERE YOU GO: Our suction shower grab bar features dual locking suction cups for increased stability & color-changing indicators to show when the bar is locked. Compact and lightweight for ease in travel & install in hotel rooms or guest bathrooms. EXTRA STRONG AND SAFE: The 12" Ultra Grip shower handle assists users in safely entering or leaving the bathtub or shower. 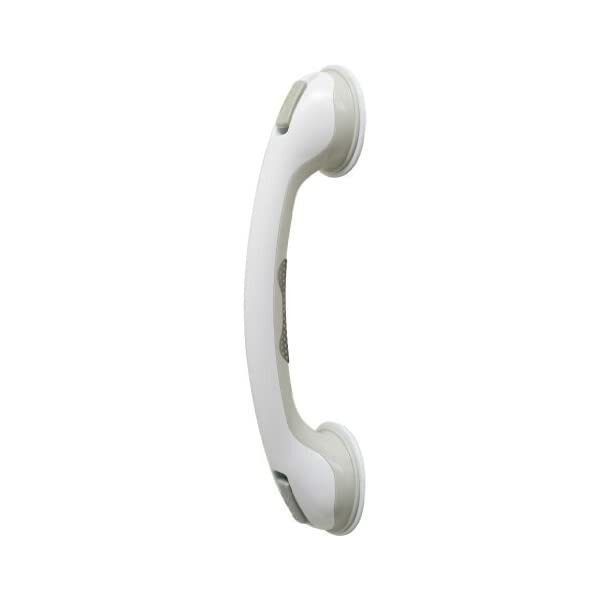 The ultra strong, dual locking suction cups provide a secure hold mounted to any smooth, flat, and non-porous surface, for safety and support you can rely on. 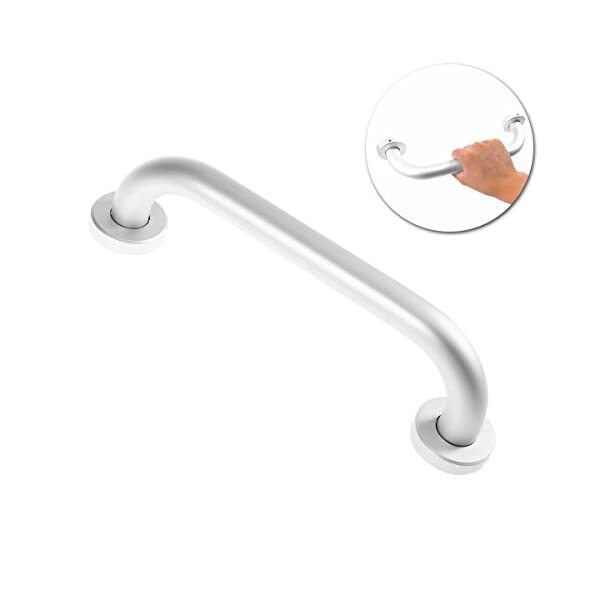 TOOL-FREE INSTALLATION: Easy to install and uninstall, the Carex Ultra Grip grab bar can be installed and removed without the use of tools. No tools, no fuss. 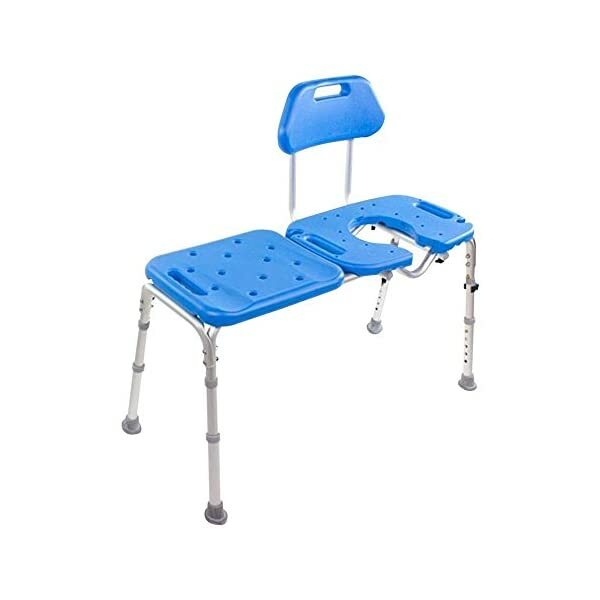 - PROFESSIONAL GRADE sliding transfer bench, bath and shower chair. Effortless sliding and pivoting for safe, easy transfers in and out of the tub. Platinum Health products are used in thousands of hospitals, nursing homes and in private homes by customers who value quality, safety, convenience and comfort over price. Note: OPTIONAL LEG EXTENSION KITS AND HORIZONTAL TRAVEL EXTENSION KITS ALSO AVAILABLE. -PADDED SEAT, BACK AND ARMRESTS. 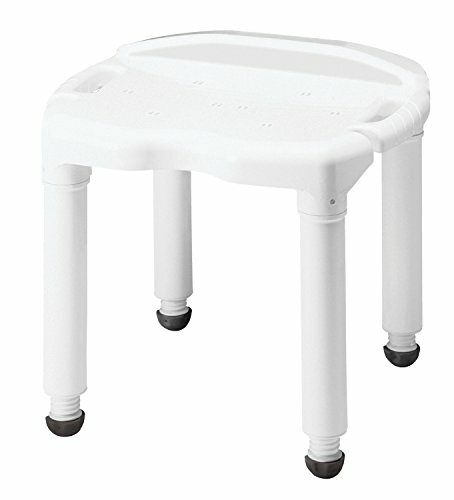 No more cold, slippery, hard plastic parts like old-style bath chairs; the Carousel provides warm to the touch, comfortable, slip resistant padding on all main components. The medical-grade, closed-cell molded polyurethane padding will not absorb any water and is easy to clean and disinfect. Quick TOOLS-LESS assembly in less than 5 minutes. -SWIVEL-SEAT SPACE SAVING DESIGN. 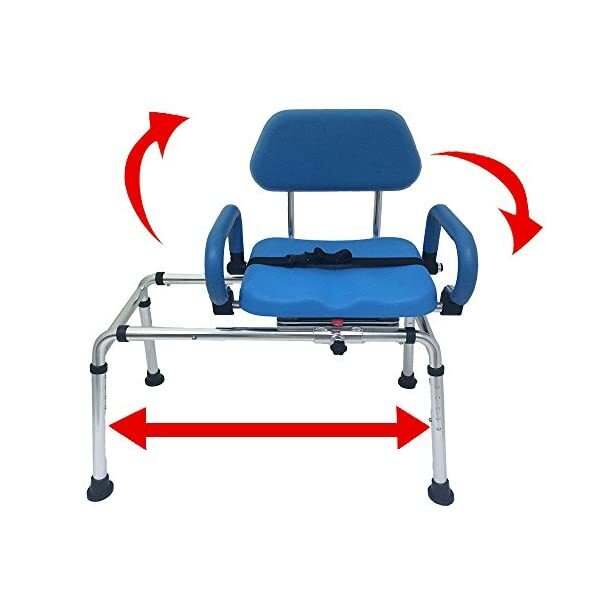 Not only is the swivel seat safer, easier to use and more comfortable than a standard fixed seat, this design means that the chair protrudes into the room much less than a traditional transfer bench. More convenient for the user, and more convenient for others that don't require use of the chair since the free space in the bathroom is much greater. Must be applied to smooth, non-porous surfaces, such as, glazed ceramic tiles, plastic or glass. 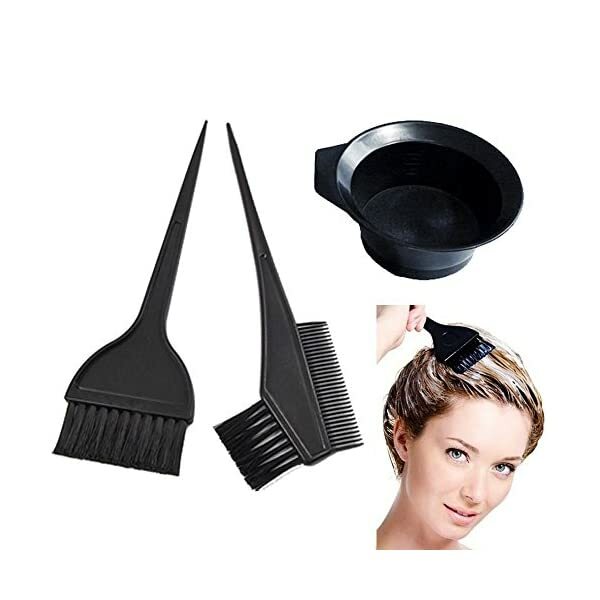 Item does not suction to textured or bumpy surfaces; this surface MUST be smooth and flat. 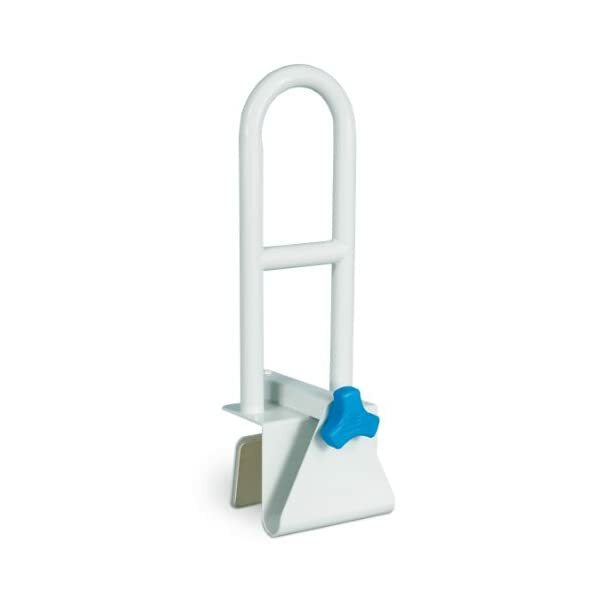 Instructions: Easy to install - Position Safe-er-Grip where desired on tub or shower wall. Apply pressure to the handle while pushing the latches down. For installation on tile; tile must be 4" x 4" or greater. Do not place over grout lines as this allows air to move under the suction cup thereby releasing its hold.